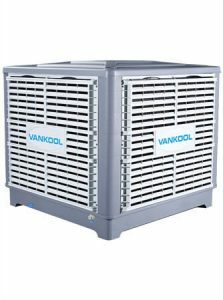 With the advent of summer months, most people are looking for cost-effective industrial air cooler to keep their homes and business environments cool and comfortable. 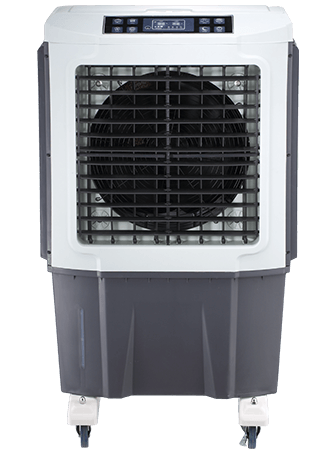 The industrial evaporative air cooler provides an effective and efficient way to cool homes and business premises. However, to work efficiently, proper installation and regular maintenance is important.. There is one drawback to an evaporative air cooler that should be considered before purchasing. This equipment is not suited for humid areas as it works best with dry air. Hence, for you to buy one, you need to be living in an area with a dry climate condition. Since these coolers draw outside air in, they need to be installed outside of the house. You can have it mounted on windows, especially if you have a particular room that you want to cool. You can have it installed in attics, on roofs or at ground level for cooling an entire building system. industrial cooler also needs water to function well, so you will need to choose a location that is close to a water source. Although the aspen pad coolers are relatively affordable than other coolers, they require the most maintenance. These 1 to 2-inch pads are made of synthetic fiber and wood shavings. Their cost varies depending on the thickness of the pads, with the thinnest being the cheapest. These pads need to be replaced with new ones after a year or two. These coolers use Cellulose cooling pads that are also popularly known as honeycomb pads. Although they are 8 to 12 inches thick, they allow air to move through at a higher velocity compared to Aspen pads. Cellulose pads have a corrugated pattern that pushes water to the pad’s air inlet side, where most of the evaporation takes place. 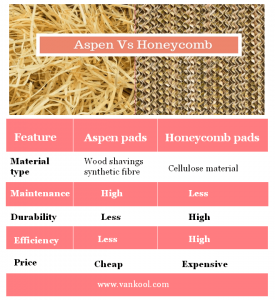 While these pads are more expensive than the aspen pads, they are more durable and can last for many years. 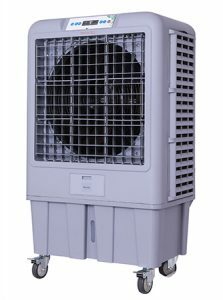 These evaporative air coolers are recommended for use when the air’s humidity level is in a comfortable range. The freshly filtered air first passes through a dry section of the system for cooling through an efficient heat transfer. This equipment comes in either two stage or three stage system. 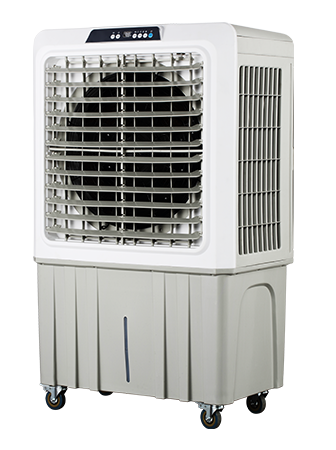 1) Two-stage evaporative cooler: This machine has a two-stage evaporative cooler –direct and indirect. The direct system is used during the dry season when humidification is needed. The indirect one is used when the air needs to be cooled. 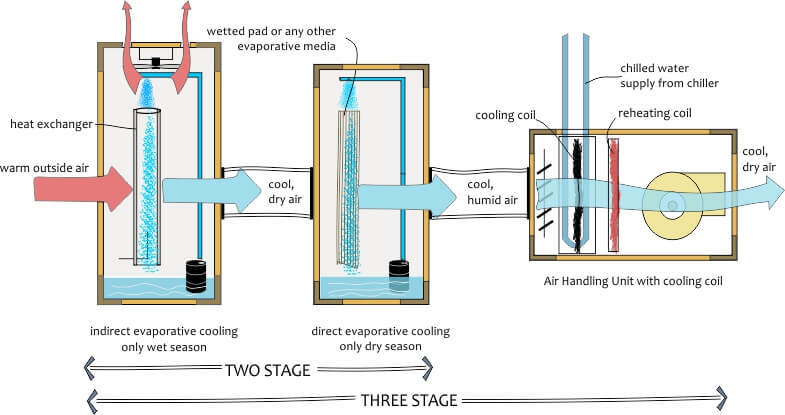 2) Three stage evaporative cooler: This system includes the direct, indirect and the cooling coil evaporating cooler. The cooling coil comes in handy during the monsoon season when there are high levels of humidity in the air, but still, dehumidification is required. Hence, when the fresh air passes through the coils, they control both practical and latent heat requirements. To prevent the system’s water from becoming too saline, install a bleed-off system to ensure that the cooler is only infused with fresh water. Installing the bleed off system helps to reduce the maintenance required for your system. However, it calls for about five additional gallons of water every hour. 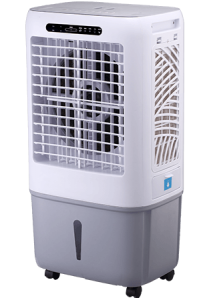 An evaporative cooler’s capacity is measured by Cube Meter Hour (CMH). 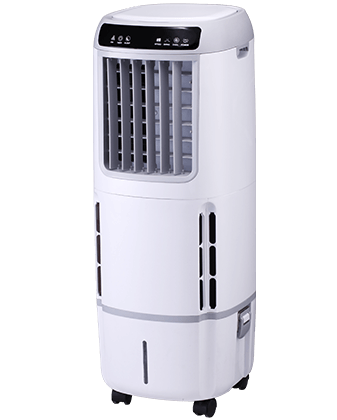 A small evaporative cooler system can be 6000 CMH while a whole house unit is usually 25,000 CMH or larger. To know what CMH your house needs, you will need to take the size of your home into consideration. For instance, the average three bedroom homes sit on 80 square meters of floor space with a ceiling of 3.5 meters. This equals to 280 cubic meters multiplied by the exchange that occurs 20 times. In this case, the 6,000CMH cooler is capable of replacing 100% of the air in the house every minute. Another important thing you need to take into consideration when purchasing a cooler is its features. Preferably, go for an evaporative cooler with multiple fan speeds and a vent-only option. This way, you will be able to vary its operation based on the weather. You may also need to find a cooler with an air filter system to keep dust, debris, and pollen out of your home. • Where is the system applicable? An industrial air cooler’s function is to lower the heat and moisturize the air through evaporation. 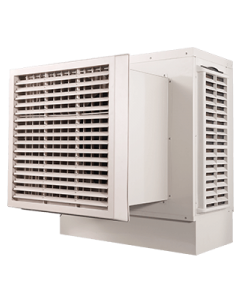 It is more cost-effective, efficient and eco-friendly than the traditional air conditioners. It is also more powerful than the typical outdoor fan. You can use this equipment to cool warehouses, workshops, manufacturing plants, hangars, and construction sites. You can also use it to cool gyms, garages, barns, patio area, athletic events, loading docks, and large tents. • How often should you replace the industrial evaporative air cooler pads?